After recently celebrating a milestone birthday, I promised myself that this would be my year of wine education and promptly took myself off to Napa Valley to get schooled up – any excuse! 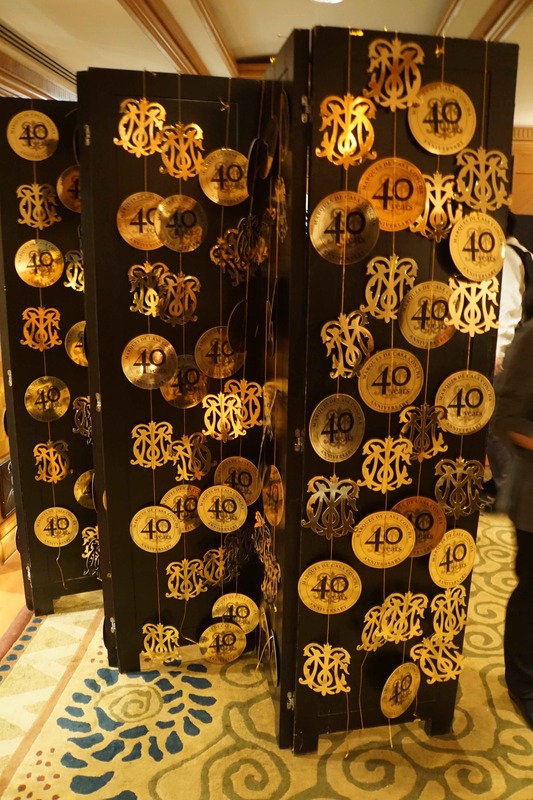 So, when the invitation to the 40th anniversary celebrations of Chile's Marques de Casa Concha popped up, I was intrigued to find out more about their famed Cabernet Sauvignon and the rest of the vintage vino selection. 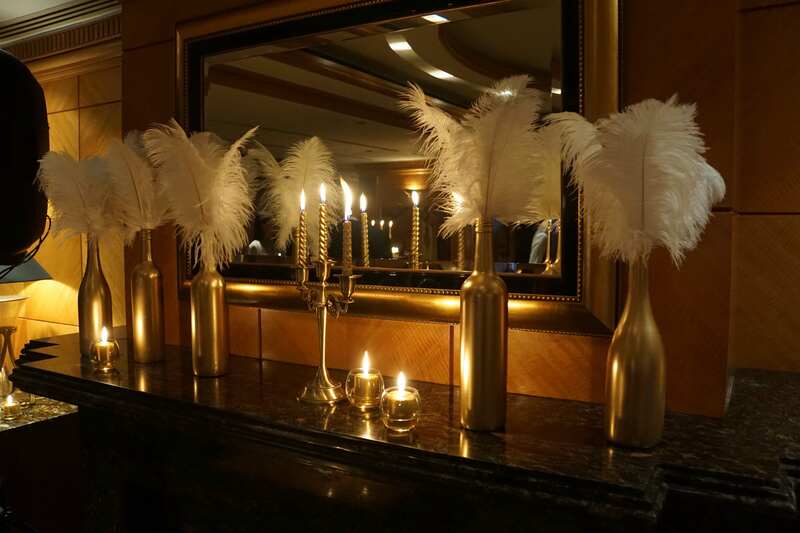 The big bash was hosted at the Grand Hyatt in Wanchai, where Salon III was transformed into a dimly lit gothic grotto, filled with perfectly placed gold-accented decorations and captivating artwork. 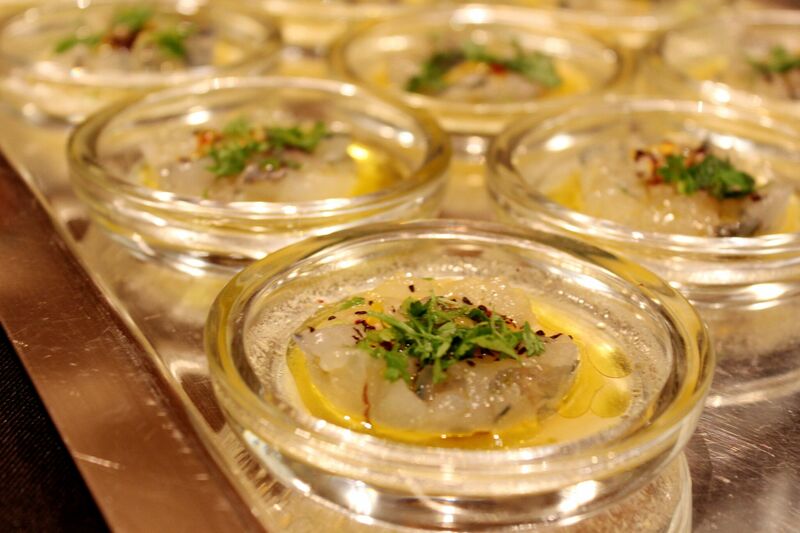 Stepping into the venue felt truly exclusive, and the room was filled with wine enthusiasts who were thirsty to taste the varieties on offer and hungry for the food-pairing selections, prepared by three-Michelin-starred chef Bruno Menard of Singapore. The animated atmosphere was accentuated by the live band who piped jazz music and soft acoustics around the space all evening. Guests were treated to introductory speeches from award-winning winemaker Marcelo Papa and Chef Menard, who both set the scene for the sensory sensations that were to come. Marcelo took us through the dynamic, energetic and evolutionary history of Marques de Casa Concha, as well as some fascinating features of the winemaking process in the extreme valleys of the Limarí and Bío-Bío provinces of Chile. Chef Menard spoke about the importance of specialist food and wine combinations and gave an insight into the innovative creations that would complement the wines. We kicked off with one of my personal favourites: shrimp ceviche topped with orange and passion fruit coulis, served with a glass of crisp 2014 Chardonnay. This duo was an impeccable blend of tart, fresh and light flavours, with just the right amount of acidity and sweetness. 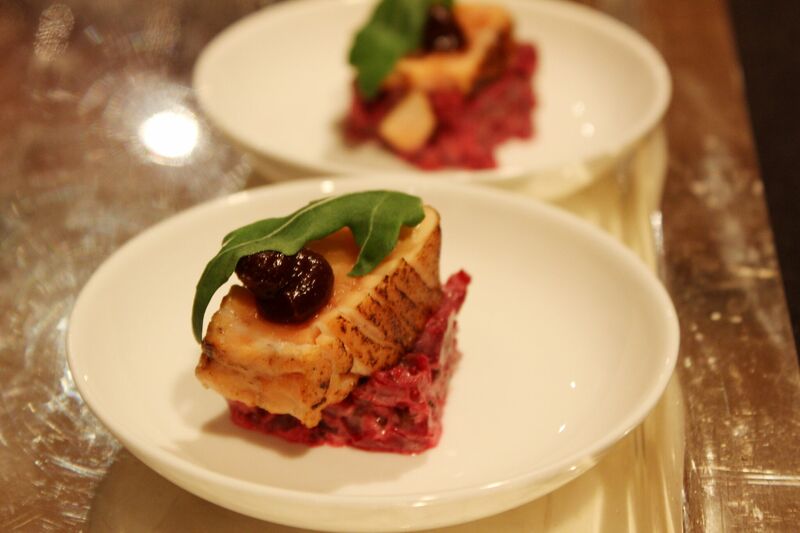 Following this was a slice of seared salmon on a bed of beetroot tartare to go with the 2013 Pinot Noir. The Pinot was my winner out of the reds – full of zingy notes of cranberry and raspberry with a classic yet contemporary consistency. This salmon snack was mouth-watering and had me going back for seconds. 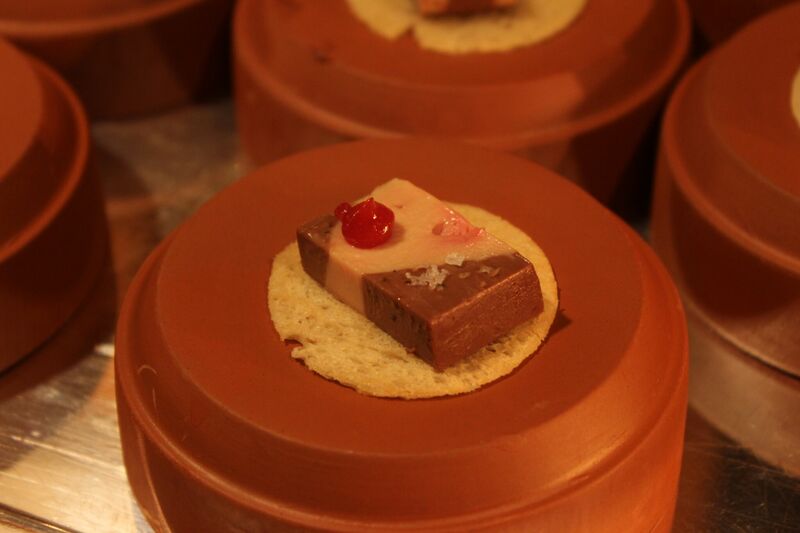 For something extraordinary and exceptional, Chef Menard created a conceptual mix of foie gras and nougat, seasoned with Peruvian chocolate and fig chutney. I must admit that I was slightly sceptical at this choice to accompany the 2014 Carmenère, but one bite of this culinary artistry instantly changed my mind. Sipping on the Carmenère whilst eating this was a special experience and brought out the intense and complex flavours of the foie gras and nougat sliver. 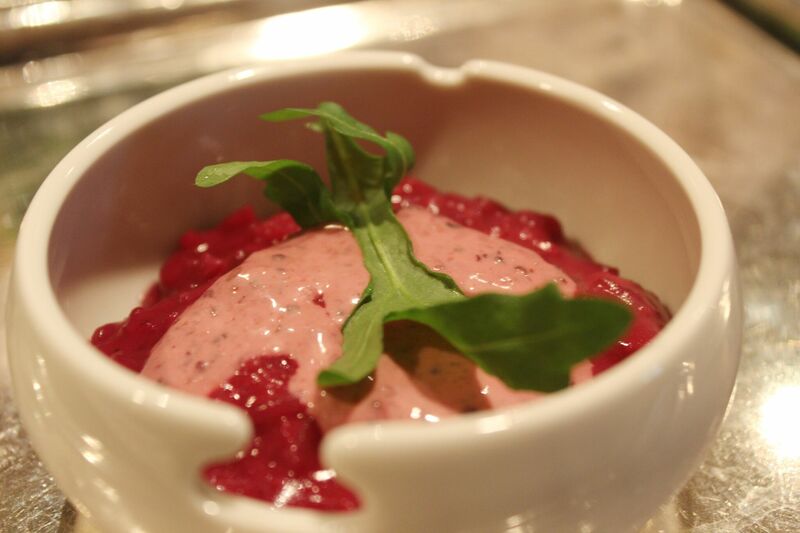 Moving on to the renowned 2014 Cabernet Sauvingon, bowls of luscious red wine and beetroot risotto were served, finished with a sprig of peppery rocket. This dish was just the right proportion, and a few mouthfuls were plenty to work around the fragrant, spicy aromas of the Cab Sav. Sadly, it was almost time to finish the tasting extravaganza, but the best was certainly saved for last as we savoured the 2013 Merlot with a slice of tender, orange-glazed duck breast dripping in a miso and fruit-based sauce. The duck melted in the mouth, and the interesting aftertaste from the fruit and miso left the palate prepared for the rich composition of the Merlot. 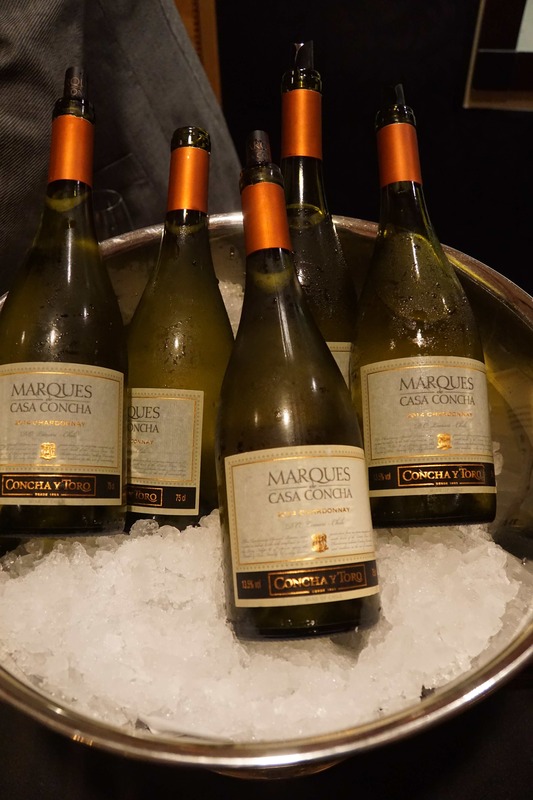 Members of the Concha y Toro team were present during the celebrations, and both Chef Menard and Marcelo happily mixed and chatted with guests. I was told that they are extremely busy in the Asian markets, with Japan being the biggest source of their exports. Needless to say, they were more than impressed by both the Hong Kong wine scene and the unique blend of East meets West that the city has to offer. Luckily, Marques de Casa Concha wines are available for purchase in HK and Summergate Fine Wines and Spirits (www.summergate.com) are the exclusive importer for Concha y Toro. I thoroughly enjoyed the wines and was inspired by the story of their timeless heritage. I may have already signed up for a couple of cases to welcome the Silly Season in style!